Photo courtesy of Special Olympics USA Games. Seattle was given a challenge this past week: to support, celebrate and include athletes of all abilities and talents. The 2018 Special Olympics USA Games, taking place from July 1-6 in the Seattle area, brought 3,500 athletes from all over the country, 1,000 coaches, 10,000 family members, 10,000 volunteers and an estimated 50,000 spectators. Fortunately, Seattle rose to the occasion, and championed the athletes, highlighting the power and joy that come with inclusion and acceptance. Competitions in 16 events were hosted at venues throughout Seattle and King County, including Husky Stadium at the University of Washington, and Angle Lake in SeaTac. Of particular interest, local disability advocate Devon Adelman won a gold medal in the stand-up paddle board competition. The 21-year-old, who has Down syndrome, has been an advocate for people with intellectual disabilities for years. When she was 18, Adelman gave the keynote speech at the World Down Syndrome Day event at the United Nations in New York. She then went to the White House representing the Global Down Syndrome Foundation during an address by former President Barack Obama. Having an interest in microbiology, Adelman interned at Seattle Children's Hospital and volunteered at the Seattle Aquarium. Most recently, Adelman graduated from the Highline College Achieve program, and is now employed at Universal Cells in Seattle. Adelman is also one of the first people with Down syndrome to obtain a scuba certification. "I'm speechless," Adelman said after winning the gold. "This was my first USA Games and it was a big deal. My hope is to [come back and compete again]." Adelman's coach, Brenda Devine, said that it's been "amazing" to watch Adelman's progress over the past year. A parent of a special needs child herself, Devine said the Special Olympics are extremely inspiring. "All of the athletes, all of the time are inspiring," she said. "This is the best place for me." The Special Olympics have been a breath of fresh air to many Seattleites among the "immoral" current political scene of traumatizing young children and destroying families in the name of nationalism. 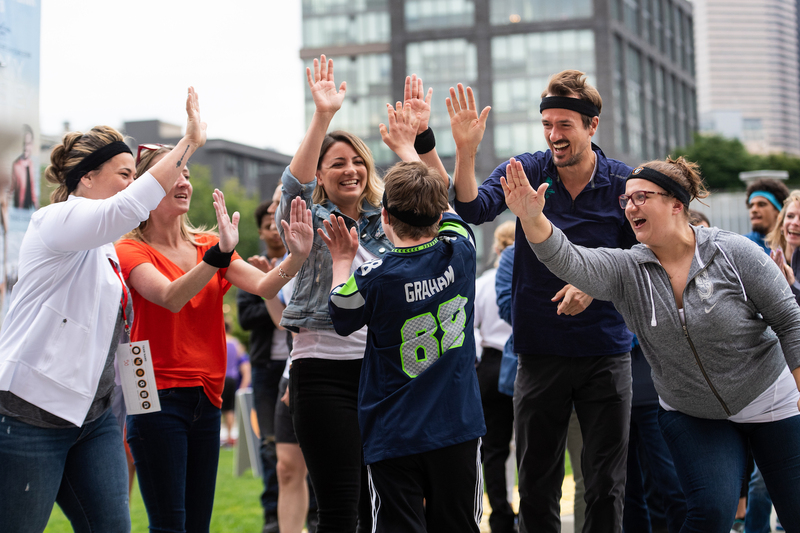 Based on prior Special Olympics USA Games, event organizers project that the USA Games could generate an economic impact of approximately $50 million for the Seattle area.